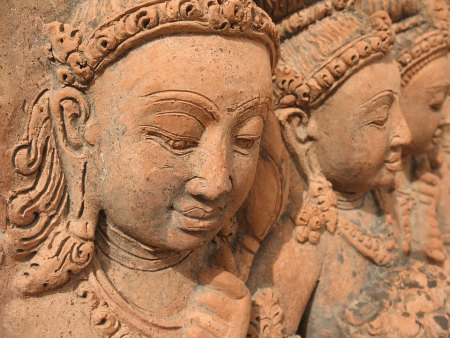 Did you know there was a connection between Hinduism and Buddhism? No? Do you at least know the differences between them? If the answer is still no, then you should keep reading this article and at least get the basics down. Let’s see what is the difference between Hinduism and Buddhism. Founded in 3000 BCE. Founded in 2500 BCE. Was first defined as a group of people with the same views on reincarnation. Was founded by Hindu prince Siddhartha Gautama, the Buddha. Practiced on the Indian subcontinent. Practiced on the Indian subcontinent. Their main texts are the Vedas, the Upanishad, the Puranas and the Gita. Their main text is the Tripitaka. Their religious law is the Dharma. Their religious law is the Dharma. They believe in karma and reincarnation. They believe in karma and reincarnation. The reincarnation cycle can only be broken by achieving enlightenment; this is done by living an exemplary life and no longer coming back for another life. The reincarnation cycle can only be broken by achieving personal enlightenment; this comes with the understanding that life is suffering and that the mind must tear itself away from all worldly cravings. Enlightenment can be achieved by living life according to the Dharma, not doing bad things on purpose, meditation and prayer. Enlightenment can be achieved by living life according to the Dharma, not doing bad things and by meditation and prayer. There is the concept of sin, atonable by prayer, fasting and karma. There is no concept of sin. Their houses of prayer are the temples. Their houses of prayer are the temples and the shrines. There is a concept of one God, whose image is reflected in the entire Pantheon. There is no concept of one God or one creator. Hinduism is considered the oldest religion in the world, as it is considered to have originated in 3000 B.C.E. Scholars believe that the word hindu was a Sanskrit word that defined a group of people with a different set of beliefs than the Muslims who came together in similar ideas and practices. It is mainly practiced in India and Nepal and has over 900 million followers worldwide. Although they have no one founder, no one God, no scriptures and no one specific way one person can be a Hindu, Hinduism is a very personal type of religion. There is a strong belief that the Hindu pantheon, which has many gods, is in fact an ample manifestation of the same divine being. People approach divinity by praying to the gods they feel more connected to while at the same time praying to the supreme God. There are Hindu texts that spread the Hindu knowledge. These are the Vedas, the Upanishad, the Gita and the Puranas. The principle of Hinduism is that of achieving salvation from the cycle of reincarnation. Hindus believe that one person can repent for unintentional sins by fasting and praying to God, but that the intentional sins are repaid by karmic consequences. Hindus pray in temples, fast, meditate and do yoga. The Hindu religious law is the Dharma. Buddhism is a religion also practiced on the Indian subcontinent. 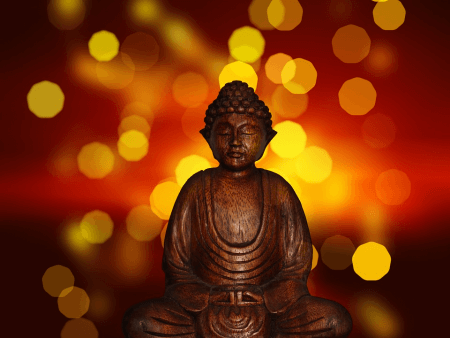 The founder of Buddhism was Buddha, also known by his other name Siddhartha&nbsp;Gautama, a former Hindu prince. It is believed that he founded Buddhism around 2500 B.C.E. Buddhism is supposed to be a very practical religion, open to all, including non-practitioners. The main principle of Buddhism is that life is suffering and that the way to break the cycle of reincarnation is to free oneself of worldly cravings. There are around 300-350 million practitioners all over the world. They pray in shrines and temples, follow the sacred texts of the Tripitaka, practice meditation and follow the Eightfold Path. They do not believe in an omniscient, omnipotent creator. They do believe in karma, reincarnation and the possibility of breaking the cycle of reincarnation by enlightenment. The Buddhist religious law is the Dharma. So what is the difference between Hinduism and Buddhism? Hinduism and Buddhism are very similar religions, because one was founded by a follower of the other. Since Siddhartha Gautama used to be a Hindu priest, many of the concepts of the newer religion have the same source. Both religions have the Dharma, karma and reincarnation. In both cases, the followers are trying to break the cycle of reincarnation by ascending to a higher spiritual plane. Hindus pray in temples while Buddhists pray in shrines and temples. There is meditation and a concern for doing what is good in life and the avoidance of causing pain and suffering. Unlike Hindus, Buddhists do not believe that there is a God and creator of the universe. Enlightenment must come from the inside. There is no sin in the Buddhist religion. On the other hand, Hindus must atone for their sins in this life and in the next life for the really bad ones. Since Buddhism was founded by a Hindu prince, it is safe to say that Hinduism is older than Buddhism. Also, Buddhism has the Tripitaka texts while Hindus have the Vedas. They are both practiced on the Indian subcontinent.